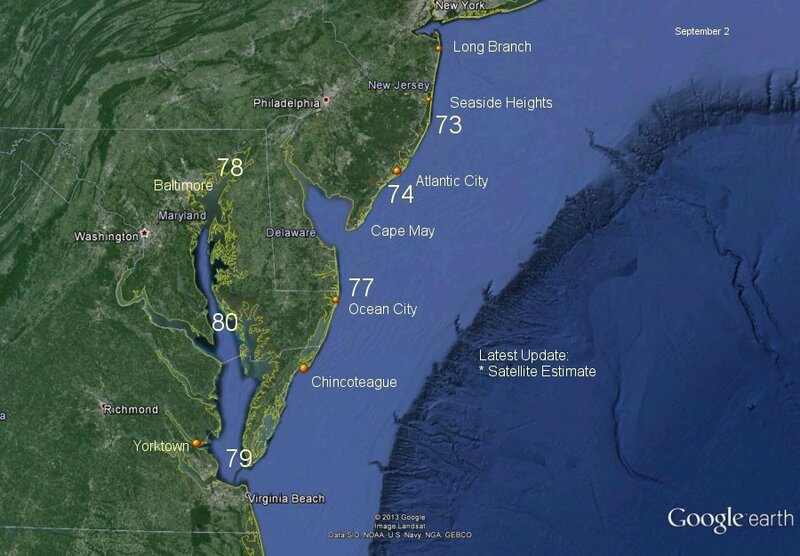 Mid-Atlantic Beach water temperatures are derived from official National Weather Service / NOAA coastal reporting stations. Offshore water temperatures are from NOAA buoys. Some buoy and tidal stations that do not report are obtained using an estimate from satellite data. Keep an eye on the surf water temperatures for your next beach vacation at your favorite resort for beaches in the Mid-Atlantic. 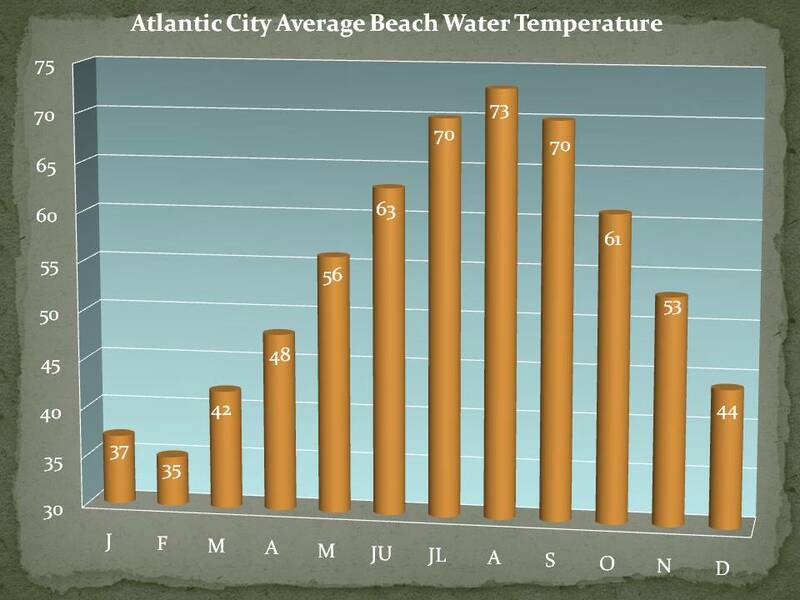 Water temperatures are for beaches in the Mid-Atlantic like Atlantic City, New Jersey, Ocean City, Maryland, and Virginia Beach, Virginia. 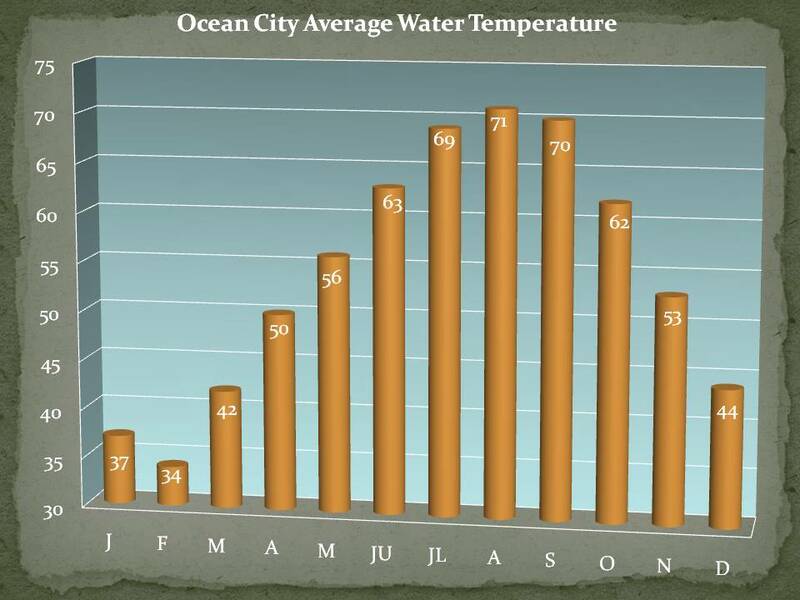 Mid-Atlantic water temperatures are updated from May 23 to September 10.